Courtesy of Loopaza Mega Store we have our usual doses of Figure King Magazine Scans. 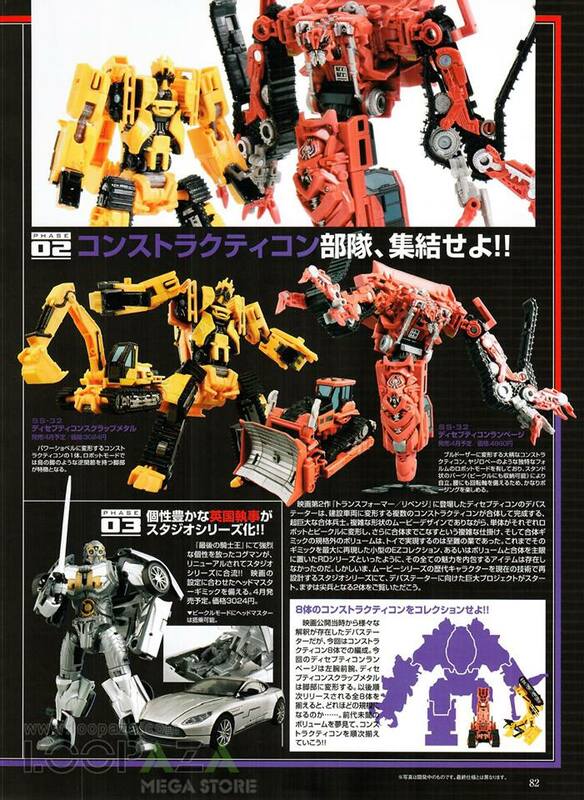 Issue #254 brings us images of Studio Series Wave 7, Scrapmetal & Cogman, Siege Refraktor (Reflector) & Caliburst, Convoy x Atmos Safari Lebron Ver. And Legendary Nemesis Prime. Studio Series Wave 7 – The Japanese release of Studio Series toys features a different numeration compared to the Hasbro releases and all classes are part of the same wave. We have some great shots of SS-29 Shatter (Bumblebee), SS-30 Optimus Prime (Bumblebee), SS-31 Cogman (The Last Knight), SS-32 Decepticon Scrapmetal (Revenge of the Fallen), and SS-33 Decepticon Rampage. All due to release on April, 27. War For Cybertron: Siege Wave 6 – We have a great shot of three gray protoypes of Refraktor (Reflektor) showcasing the combined camera mode. 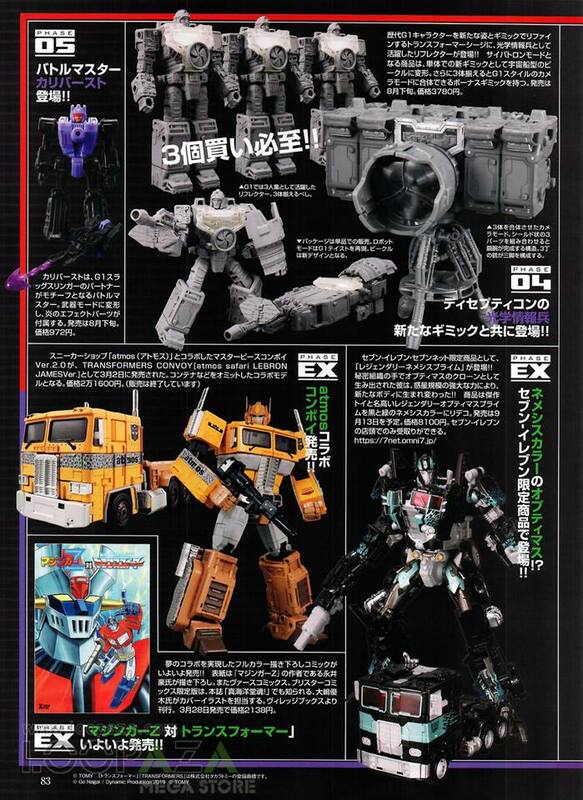 Additionally, we have a picture of Targetmaster Caliburst. Both due to release on August, 23. Convoy x Atmos Safari Lebron Ver. 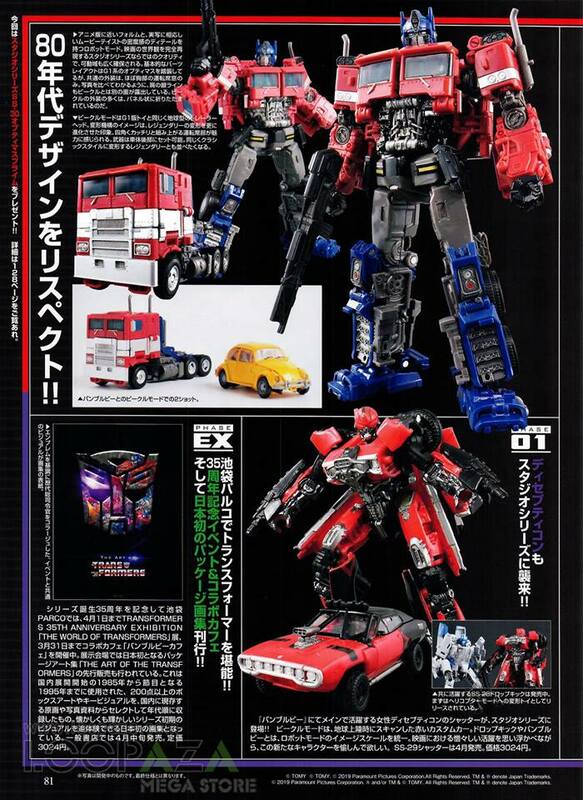 – The newest variant of the MP-10 Convoy/Optimus mold comes in an original deco based on the respective Atmos Safari shoes. Legendary Nemesis Prime – Revealed way back in March, this amazing black repaint of the Legendary Optimus Prime mold will be a 7-Net exclusive. Check out all the images after the jump and let us know your impressions on the 2005 Boards! "Revealed way back in March"
Ah, sorry. Didn't realize that they were anglophobes. Looking at that Voyager BB OP; are they somehow using the truck’s headache rack to become the vents on the lower legs? That’s clever. Just what I thought. The question is, where on Hightower? Just we have not seen the part from his mugshots. Extra shovel part? Are you reffering to Scrapmetal’s shield? It sits on the back of his vehicle mode to cover up the unsightly gaps they couldn’t fix otherwise. That Optimus a voyager class figure($30) around 7 inches in height. The Bumblebee is a deluxe($20. 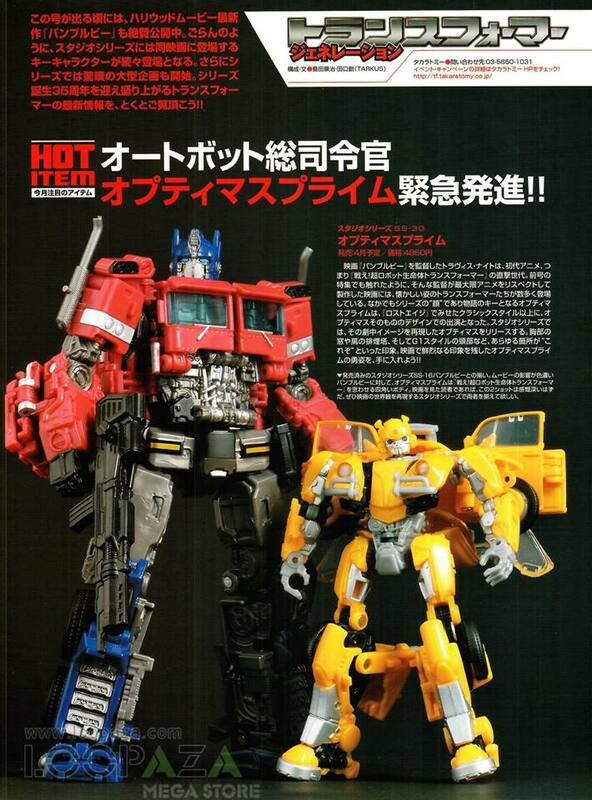 While Bumblebee is rather finicky and hard to transform, Optimus is beyond amazing. Just order from Hasbro pulse? The more I see the Reflector camera the more I want it. Finding 3 will be fun lol. I wonder if that extra shovel part is found on Hightower. What is this OP movie figure? And that Bumblebee? What scale are they? This is really nitpicky, because I mean we\'re actually getting a Reflector, but I wish that belly circle thing was removable on him. also where are the pre orders for that Amazing Yamaguchi Optimus??? I thought that when he was first revealed, the designers said that the belly circle was removable? I saw SS Wave 7 and I got sooo happy… then realized it was just Wave 6..